Do you worry about how you’ll pay the bills if your car breaks down or do you live paycheck to paycheck and can’t build an emergency fund? Or are you a SAHM that would love to have something fun that’s just for you? These are all perfect reasons to have a side hustle! 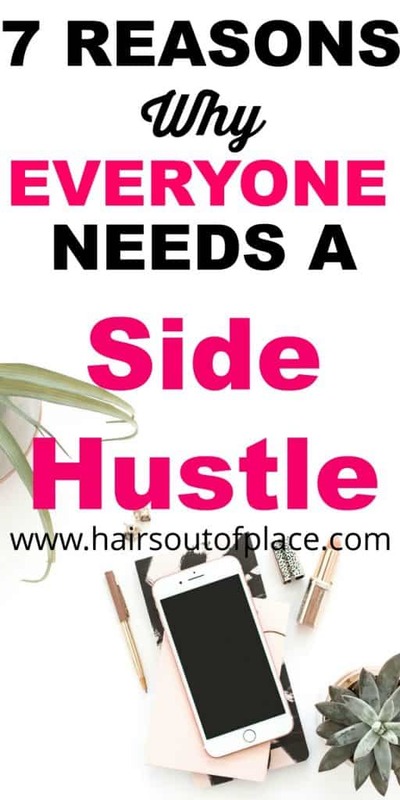 I’m a huge believer that everyone should have a side income source aka “side hustle” whether you’re a stay-at-home mom, college student, or even currently have a job. It can be something for fun, something to bring in extra income or even a small business to grow over time. When I was in college, I always had two jobs, as a stay-at-home-mom, I’ve always made a little side money (for the reasons I post below;) and even when I had a career, still found time to make money from hobbies. When my hubby and I first got married, we knew for certain we wanted one parent at home. While we BOTH wanted that job, he earned more at the time so I became the SAHM. Dropping down from two professional working salaries to one income was very tough! We were still in our mid 20’s, so even with a “professional” income, we hadn’t been out of college long and didn’t make much! My husband’s paycheck JUST covered expenses and we didn’t have money for extras at all. Since my background was in accounting and banking, this made me very uncomfortable but I “crossed fingers” no emergencies would come up. It became critical for me to find a “side hustle” to help us out and cover those emergencies as they came up. Having an extra income source, whether it be $100/mo, $200/mo, $500 or more, not only helps to cover emergencies but also helps cover little extras your income can’t cover! While we were just married and had a baby at home, again, our regular income didn’t cover extras or fun things. I do very it’s very important to find some sort of way to reward yourself now and then, regardless of your income level. 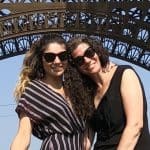 While most of my extra income went towards our savings and creating an emergency fund, we DID keep out $50/mo for EACH of us to spend however we wanted to that month! You can set that amount to whatever works for your budget, we gradually increased it to $100 each when our financial situation enabled it (after about 5-6 years). I’m pretty sure there are ways for you to make money from a hobby you have, for me it was reselling garage sale finds and selling handmade cards, for my husband it was playing in a band. I know most bloggers out there suggest you should start a blog, but it is a valid way to write about your hobby, connect with others who share a similar hobby and hopefully turn it into a profitable blog over time! To be honest, not all extra income sources are going to be fun. I’m just saying they CAN be depending on what your main objective for needing one is. If you need emergency money ASAP, then your situation might be to take whatever you can get and over time find something you enjoy more. I knew a mom who was a full-time mortgage banker year-round but added on part-time work at Pier 1 to help pay for holiday gifts. She absolutely loved it and had so much fun! As you fellow SAHM’s know, being at home all the time can be lonely! Having a side job gives you a way to connect with other adults and get out of the house. Or if you aren’t in a situation to have a “side hustle” outside of the home, so many online jobs ALSO have an AWESOME sense of community! I met some really amazing people through eBay since I had many repeat customers. Who doesn’t benefit from learning new skills? While I always LOVED being home with my kids, it’s still super important for mom to have mental stimulation and keeping up on some sort of skills that will make you employable if ever needed. This is another very important reason why SAHM’s should have a source of side income. While none of us like to think about it, you never know when a family emergency or job loss could leave you without a way to pay your bills. So whether this income helps out until your spouse finds work or is a side job you turn into a full-time business, leaving yourself and family OPTIONS is important. I worked on my eBay hobby 15 hours/week (and my kids often helped), that still left me plenty of hours in my week to earn more if it became required!